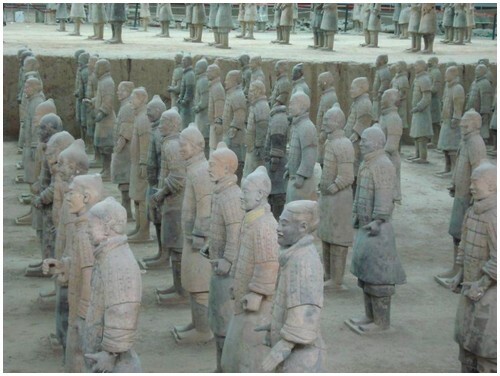 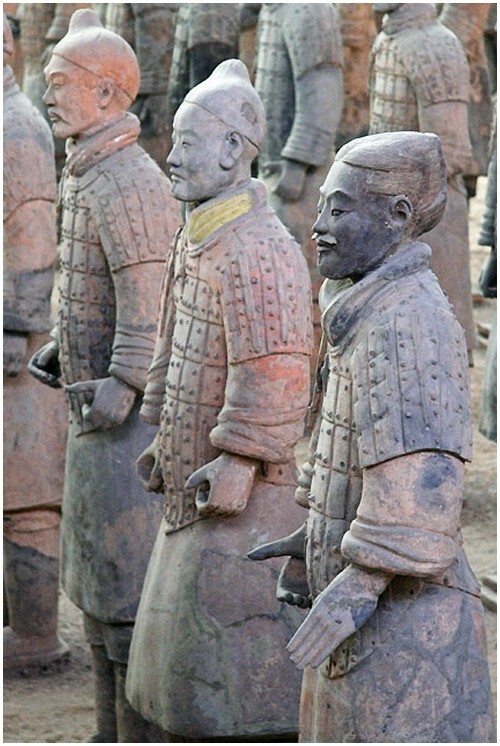 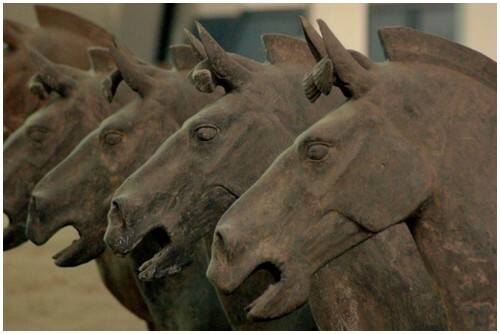 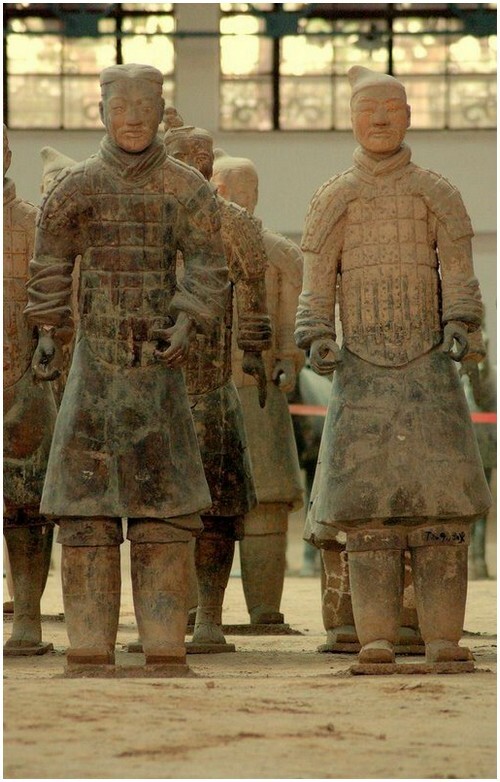 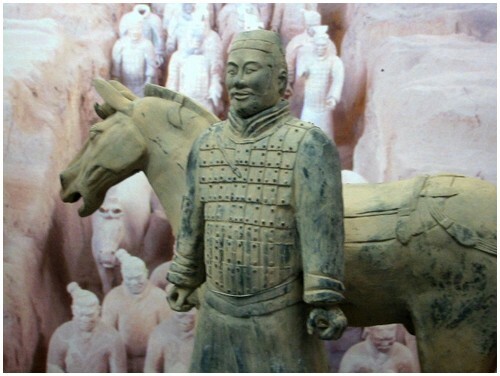 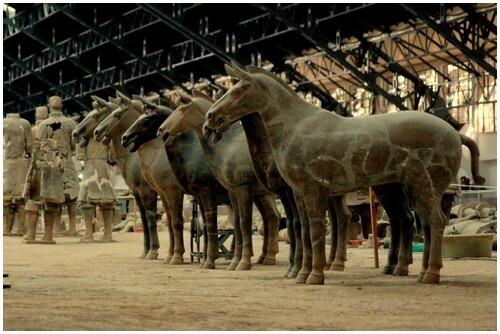 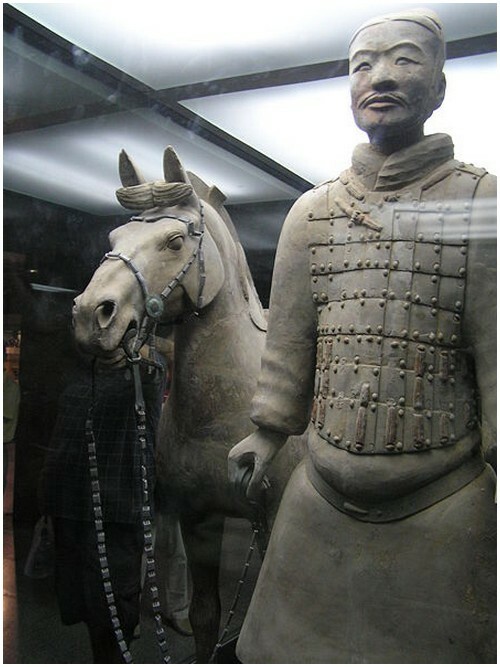 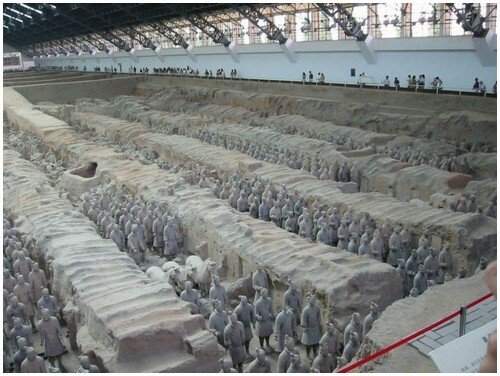 China’s 2,000-year-old Terracotta Army was one of the greatest archaeological discoveries of the 20th century (1974 actually). 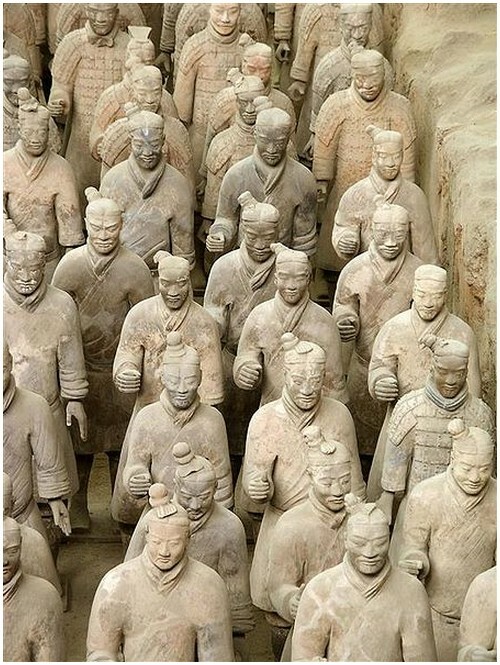 These world-famous Terracotta Warriors are part of a vast underground necropolis for China’s first Emperor, Qin Shi Huangdi, that took 700,000 workers 36 years to create. 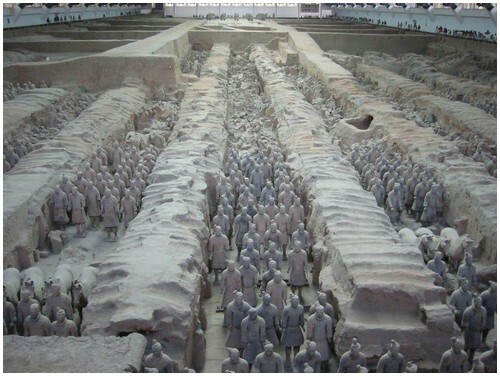 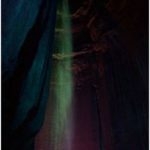 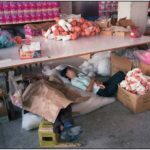 Myth says that in 206BC the first Emperor of Unified China, Ch’in ShiHuangdi, decreed that after his death his body would be clothed in jade and cast adrift in a lake of Mercury. 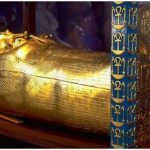 The lake, within a pyramid, was to be protected by an everlasting army. 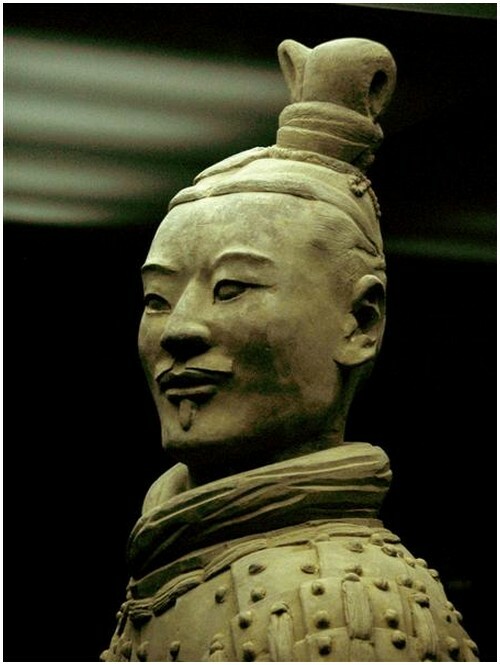 Like Tutankhamun, in Egypt, lord Pacal, in Mexico and the Viracochas’, of Peru Shi Huangdi taught the super-science of the sun and the higher orders of spirituality. 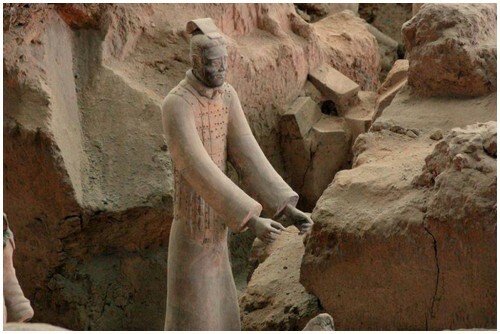 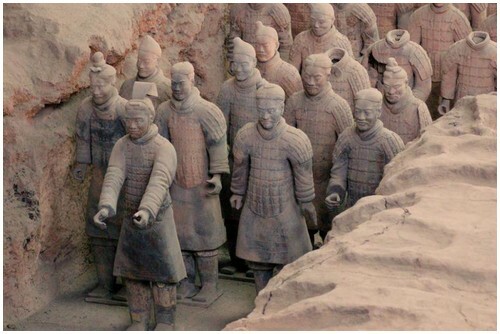 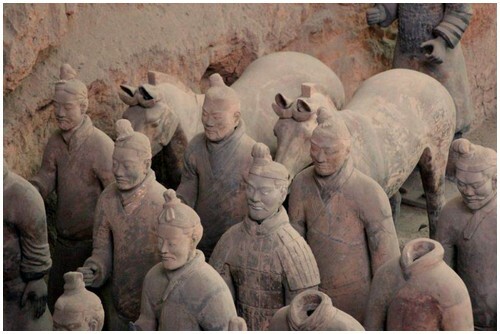 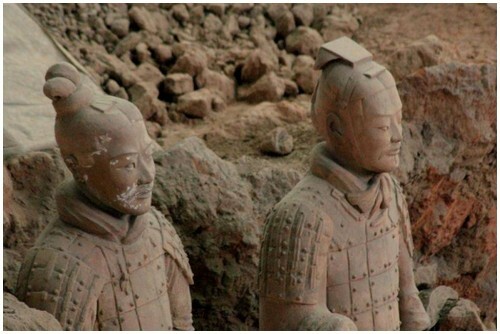 They say that, after he died, he flew to the sun to live forever.In 1974, archaeologists actually discovered the first of more than 8,000 life-size terracotta warriors buried near the pyramid tomb of Ch’in Shi Huangdi, confirming that the legend was more than just a myth. 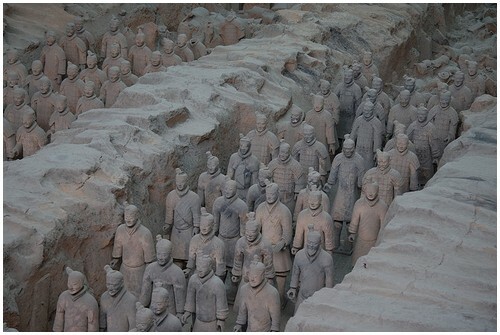 But why were the massive soldiers, each weighing more than half a tone, buried there at all? 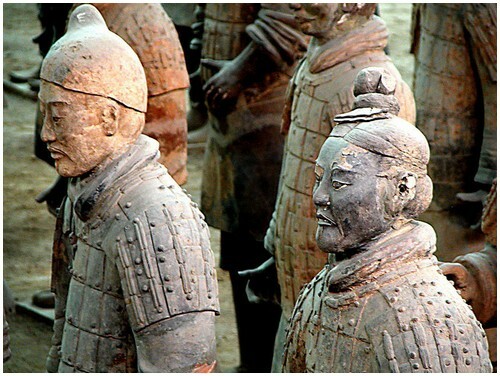 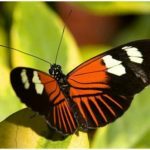 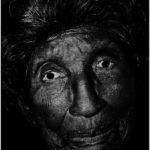 Was it simply to guard the Emperor in the afterlife?Maybe one day we’ll get the answers to this questions.